Hello! 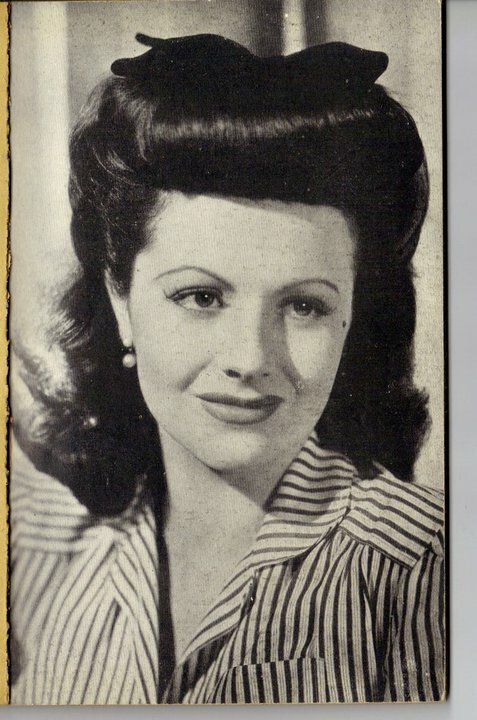 I have been busy preparing my latest project: a full length biography on Margaret Lockwood. I’ve written my proposal and sample chapters all ready to send out to some mainstream publishers for their consideration. Some are interested, which is a great sign. But it means that I must really sell the idea to them!! Unfortunately, Margaret Lockwood is not a mainstream icon, she was in the 40s, but sadly she’s only known to those of a certain age or those who are fans of classic cinema. That does not mean she isn’t worth writing about! I find her story to be quite fascinating and I know it will make for good reading. Her own autobio, Lucky Star, has been out of print for over 50 yrs and not much is known about her life. Margaret was Britan’s biggest box office star during the 40s and an early Hitchcock heroine, her movies such as ‘The Lady Vanishes’, ‘The Man in Grey’, ‘Love Story’ and ‘The Wicked Lady’ are cult classics. Margaret also starred in the massive TV series: ‘Justice’. She deserves some recognition for her contributions to entertainment. Without giving too much away, I have been researching her life using archived articles, interviews and other personal artifacts. I wish to write an original story (like my Mitford book) and not just a reprint of what we already know. But I need your help!! As many of you know, The Mitford Society has been a massive help in marketing my book to The History Press, and in today’s society of viral advertising etc, websites and social networking stands for something on paper. So, can you all head over to the Margaret Lockwood Society and ‘like’ the page?